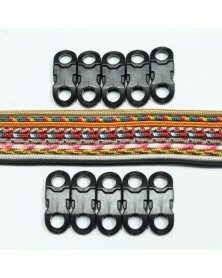 Make 10 paracord bracelets (survival bracelets) with this kit! 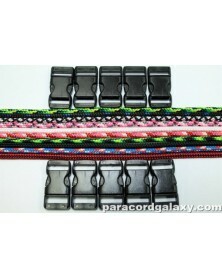 Each of our paracord bracelet kits includes 10 individual lengths of 550 paracord. Each length is ten feet long - giving you enough 550 paracord to make 10 adult sized paracord bracelets. 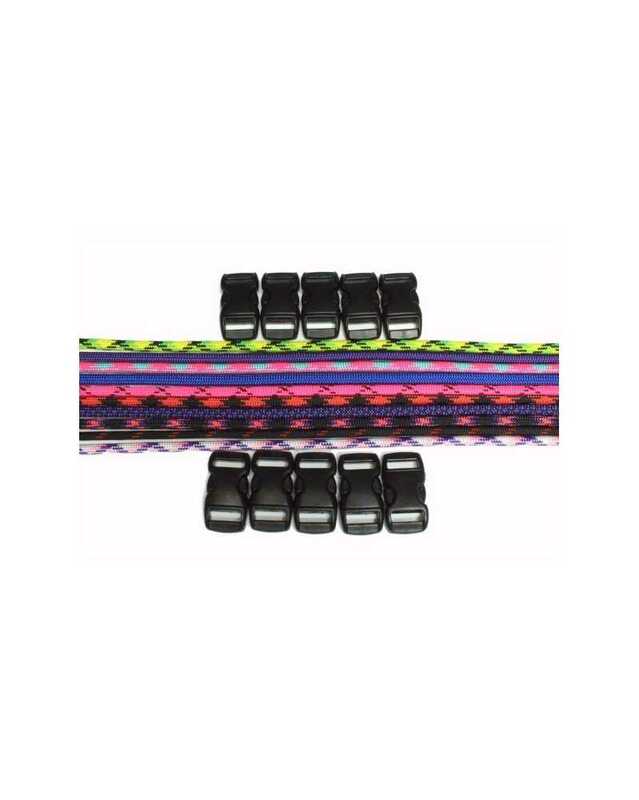 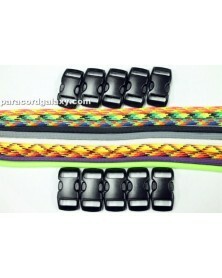 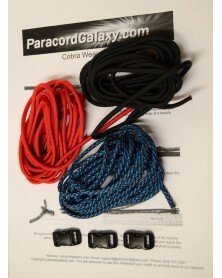 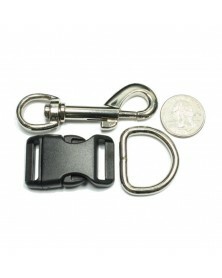 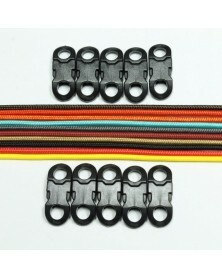 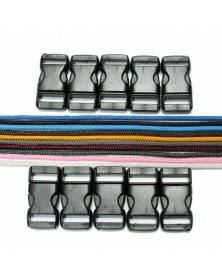 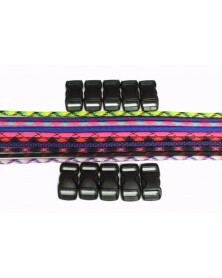 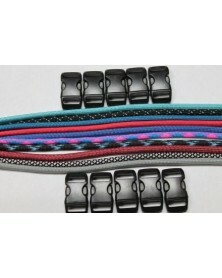 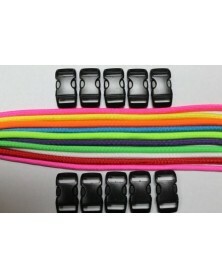 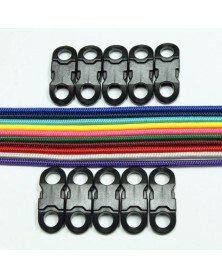 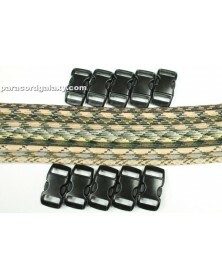 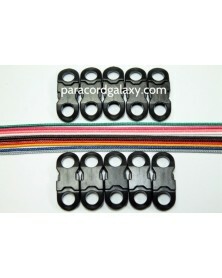 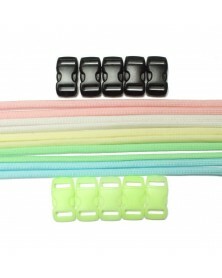 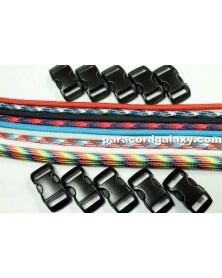 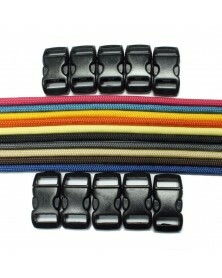 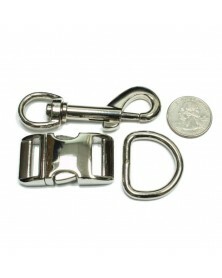 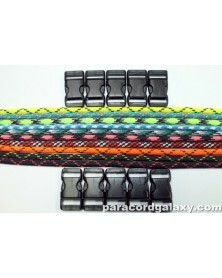 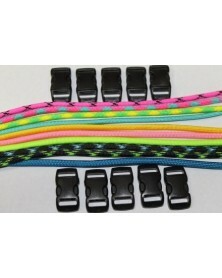 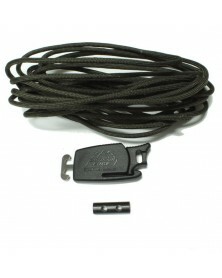 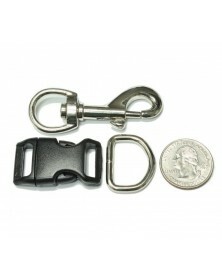 Each kit also includes 10 black 3/8" side-release buckles (aka "paracord clasps").